As you might already know, we grew something besides vegetables this season. Our first baby, Felix Ebey Salvo, was born on October 12th at 9:26 in the evening, weighing 8 lbs 8 oz and measuring 20.5″ long. He arrived just at the right time of year, when Jason and I will have several months to stay warm at home and plan for next season. 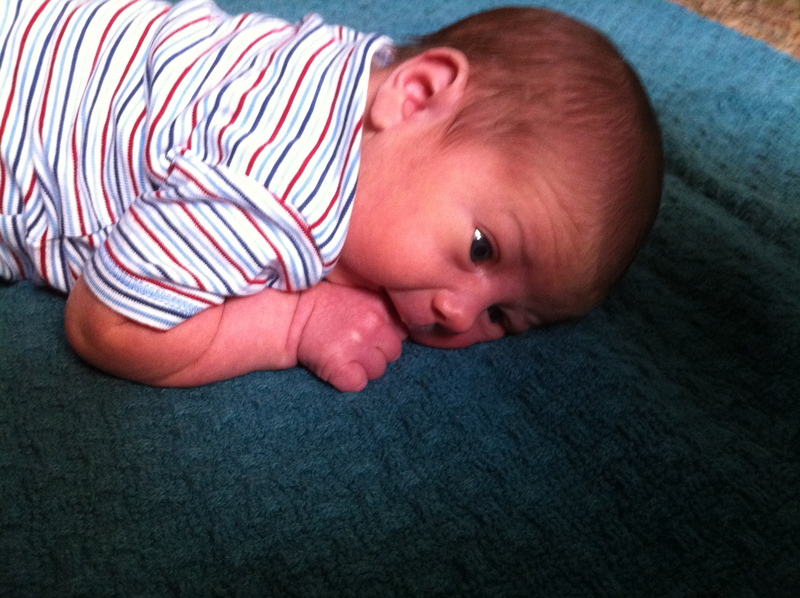 We are completely thrilled with our new baby, and having lots of fun getting to know him and adjusting to our new life. 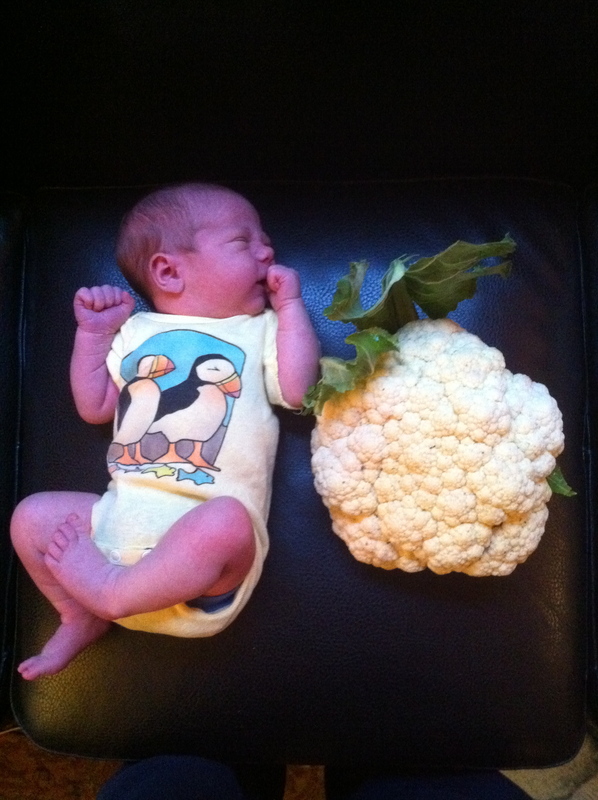 This blog won’t turn into a baby photo gallery, but I’m sure I will be writing more about the joys and challenges of raising a baby while running a small farm. We’re expecting a lot of changes for our farm and our family in the 2011 season and we are so thankful to have such a supportive community of friends and family surrounding us. 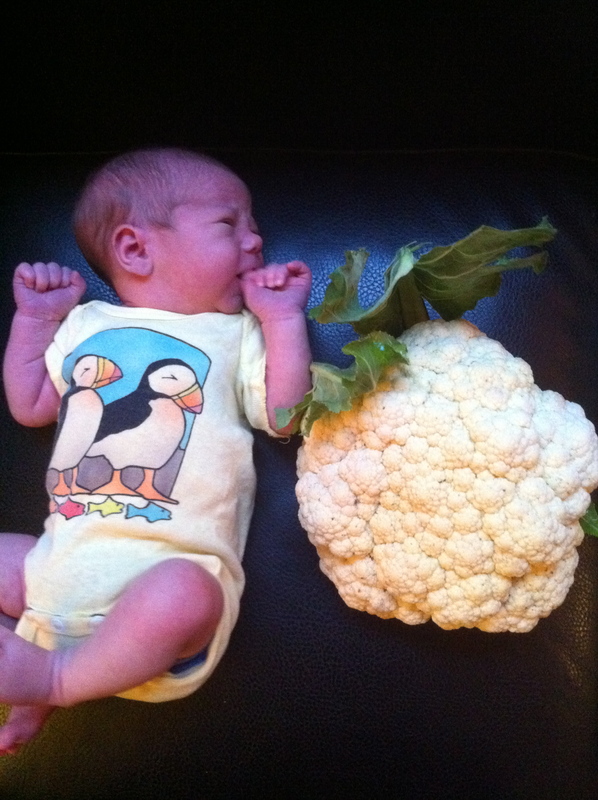 Stay tuned for more farm news, and the occasional baby photo or two. Congratulations to the both of you!!! So happy for you guys!!!!! I have come by and bought your veggies and we’ve talked!!! – Congrats on your new baby boy!!! Yea. Congratulations!! I like that last photo. Finally!! Jason is the one carrying the belly load. 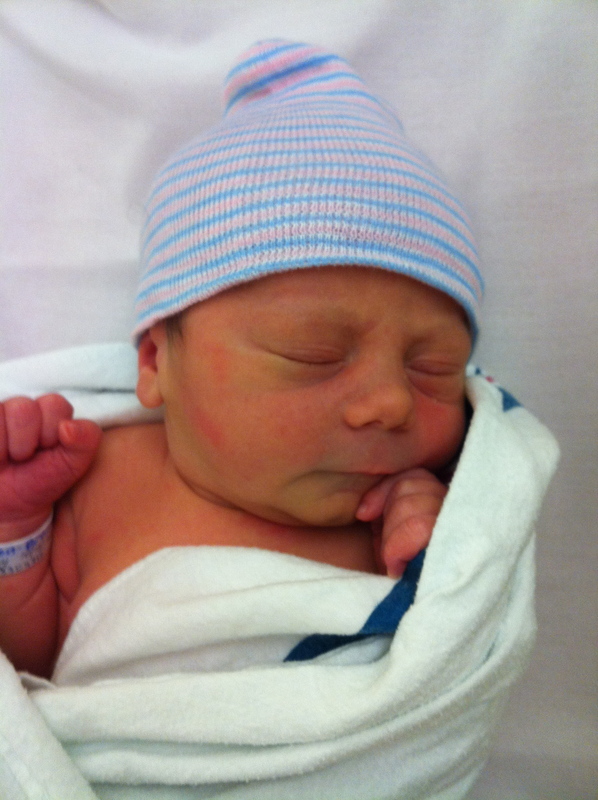 Felix is adorable and we’re thrilled for you!! Congratulations! What a blessing for you guys! 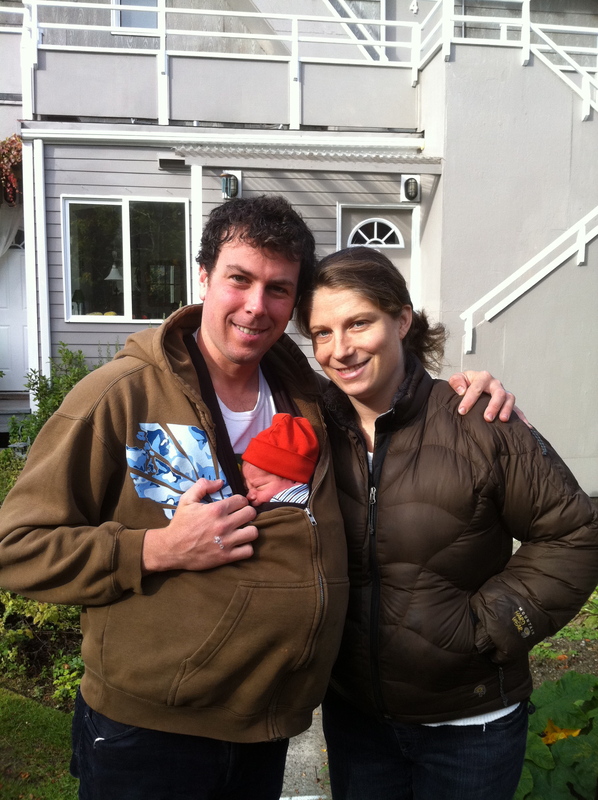 Congratulations from a Queen Anne Farmer’s Market Local Roots customer! Congratulations on the new arrival! We are very excited for you and want to welcome Felix to the world. 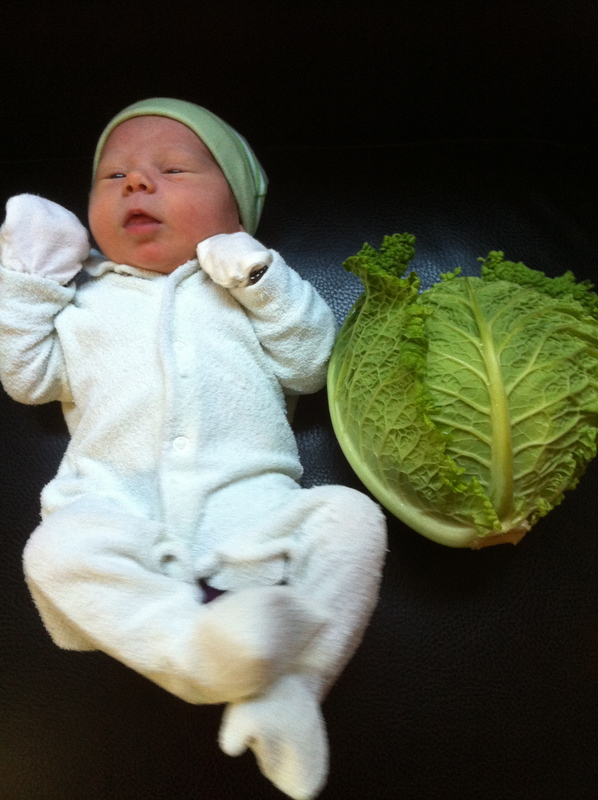 Boy is he lucky…..he will be eating the freshest, most delicious produce ever! Congratulations! What a beautiful baby. I wish you a warm, fun and healthy winter settling in as a family.